When I was in Paris with Epica last February, my plan was to go visit their flagship store, but we were quite far from the center and I had to be well rested for our big show. I will try to go next time, because the pictures that I have seen of the salon look really beautiful. 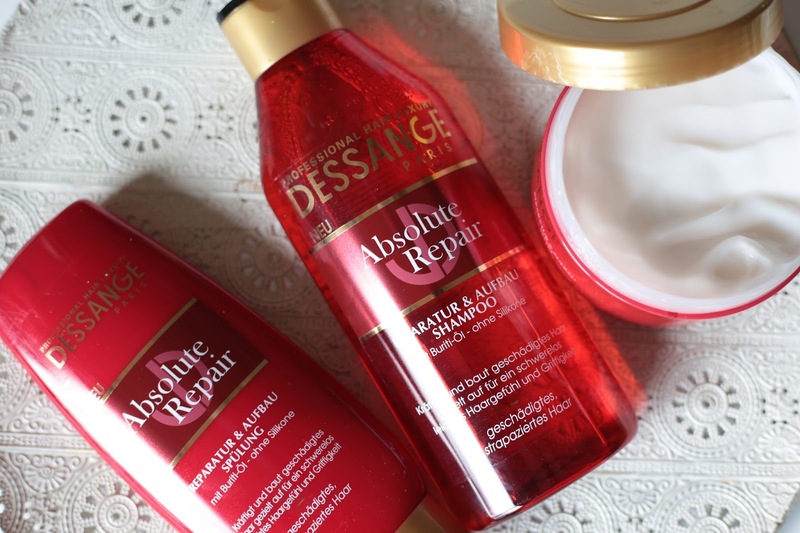 Dessange Professional Hair Luxury asked me to review the Absolute Repair series and I was glad to do so. 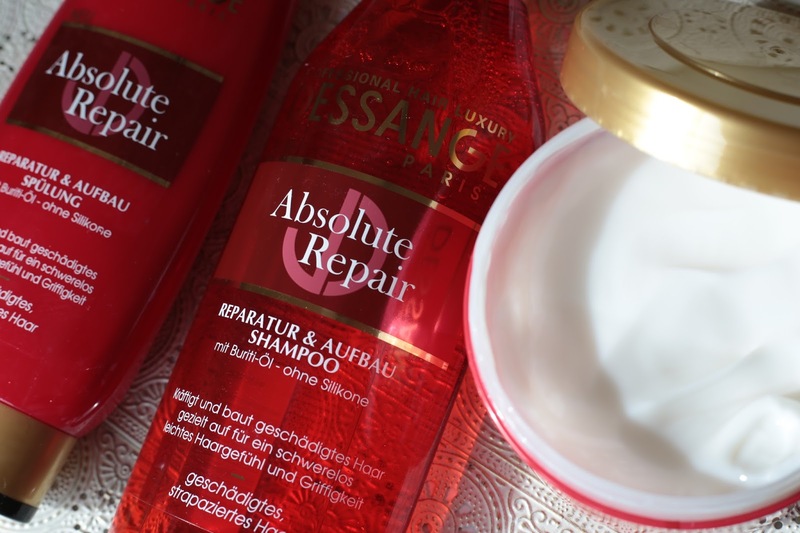 From the whole range this series appealed to me the most, because I do have quite damaged hair. All the blow drying, curling iron sessions, hair spray, texturing spray is drying out our hair. Alcohol and heat are its biggest enemies. The Absolute Repair series is free of silicone. Today a lot of brands have silicone as a main ingredient. It makes the hair shiny, but doesn't really repair it. Normally, I use shampoo and conditioners that contain silicone because of the high level of limestone in my tap water. Another main ingredient is Buriti Oil. It is an oil that is extracted from the Morichi Palm that grows in the tropical areas of South America. Buriti oil is great for the skin and also our hair. It repairs damaged hair, smoothes, and strengthens it. Where silicone just puts a layer on top of our hair, the oil really gets to the damaged areas and prevents further damage. It will prevent frizz, and adds a sheen to the hair. 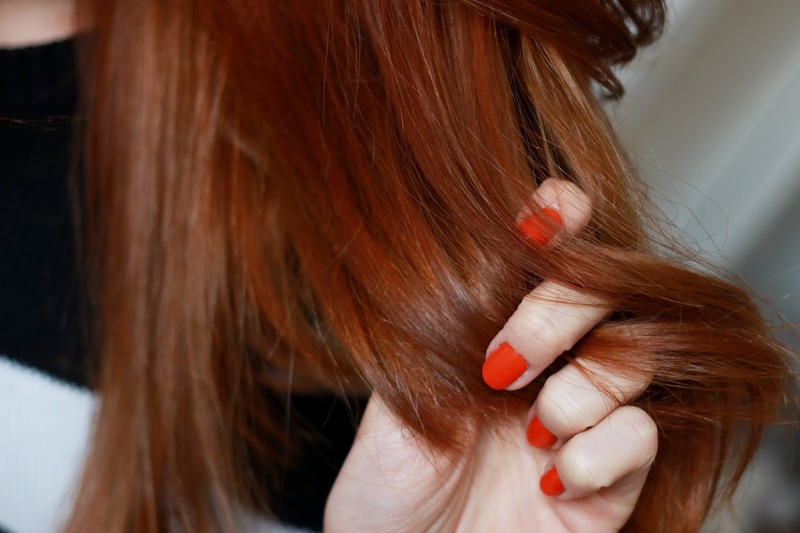 The high level of beta-carotene will help the hair grow faster. With a curious mind I started to test the range. There are three products and steps to get the healthiest version of your hair, all without silicones. A shampoo, conditioner and hair mask. 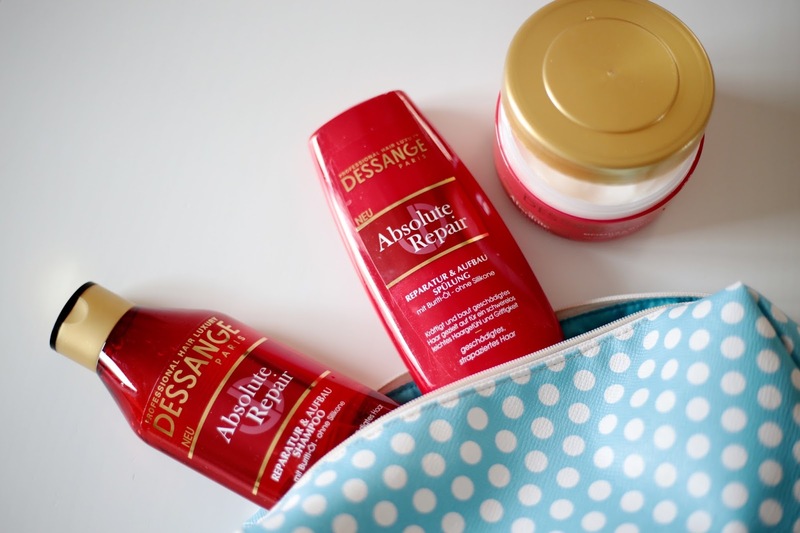 Dessange Professional Hair Luxury created a sleek packaging style. Absolute Repair is bright red. The shampoo and conditioner are squeeze bottles and the hair mask comes in a jar. I love the see through shampoo bottle. The scent is fruity floral. Not too floral or too rosy (not fond of rosy scents). A heavy perfumed shampoo or conditioner often clouds my judgement. I have to really like the scent, if not, I will most likely not use it. My nose is very sensitive. After a couple of uses I can tell you that I am quite fond of it. I wash my hair every two days. When I am on tour, I wash it almost every day. So far, I have noticed that my hair feel nourished, but light weight at the same time. It was very easy to style and gave my roots a bit of grip and volume. The hair doesn't become overly soft and heavy. I enjoyed using these products. Which ever brand I use, I always reach out for the repair series. My favorite out of the three would be the shampoo and the hair mask. When I washed my hair, I sometimes changed up the routine. Sometimes I used all three products to have the full spa experience, and other times I would just use the shampoo and conditioner or the shampoo and the hair mask. My hair feels healthy and still maintains a beautiful glossy shine. 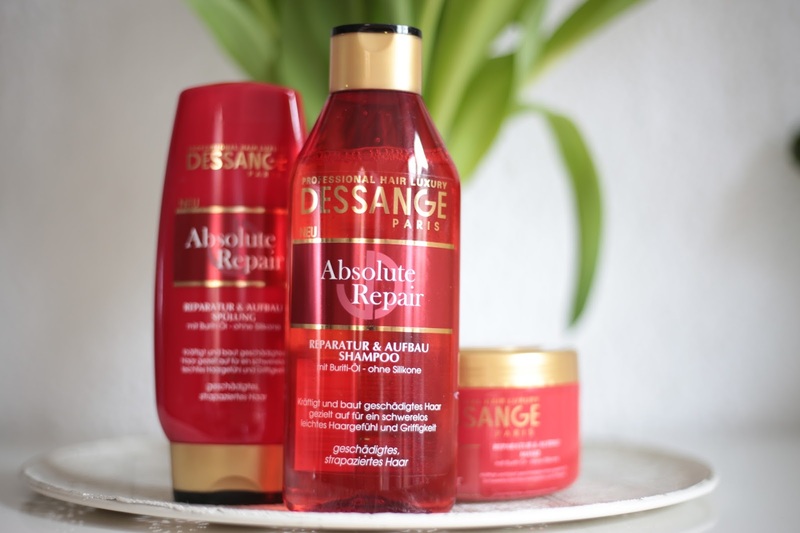 Dessange Professional Hair Luxury is available in German drugstores and, of course, also in France and Belgium. You will experience spa moments inside your own bath room, just like me. Na Andrélon keratine repair te gebruiken al jaren heeft mijn haar wat beters nodig op het moment door alle verfsessies ;) ik ben erg benieuwd naar dit product weet je of dit bij de dm te koop is? Die is enigszins in de buurt .